This yantra is dedicated to planet Moon . 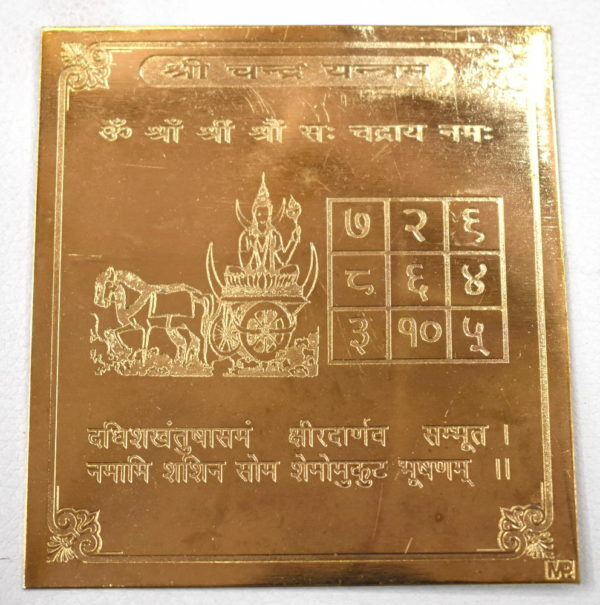 Chandra Yantra is worshipped for get divine energies of planet moon . Planet Moon effects personality , temperament , mental and emotional balance. This yantra helps pacify the malefic effects of planet moon and radiate it’s beneficial powers . Enhances Self – Confidence , bliss and contentment . Brings Emotional stability , peace of mind and harmony . 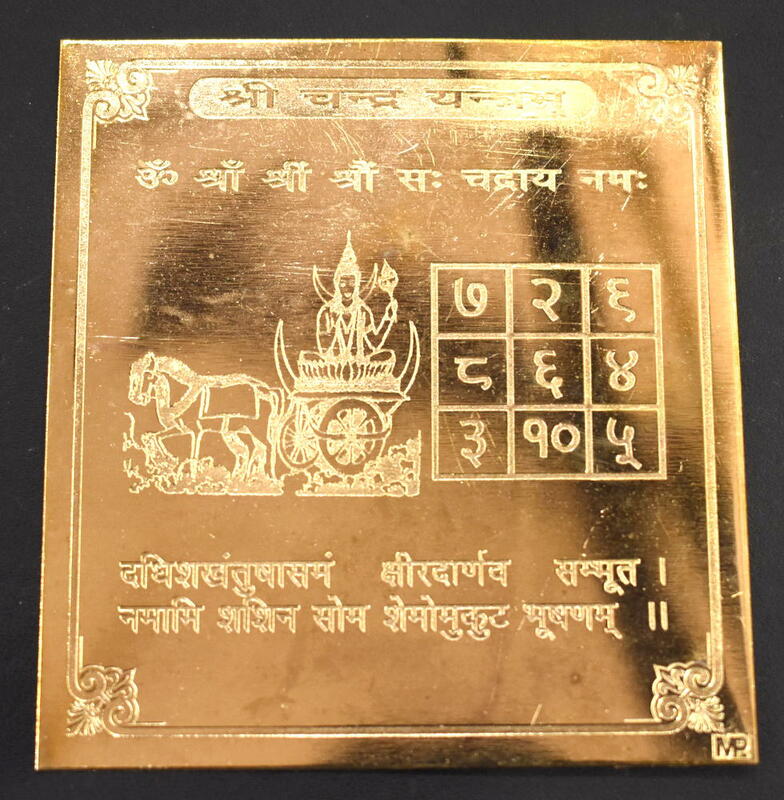 Helps improve relationship and inner strength .